Manchester United will look to make it 11 games unbeaten under Ole Gunnar Solskjaer when they travel away to Fulham on Saturday. The London side is struggling quite a bit in the Premier League, poised in the 19th position and looking into the face of relegation. 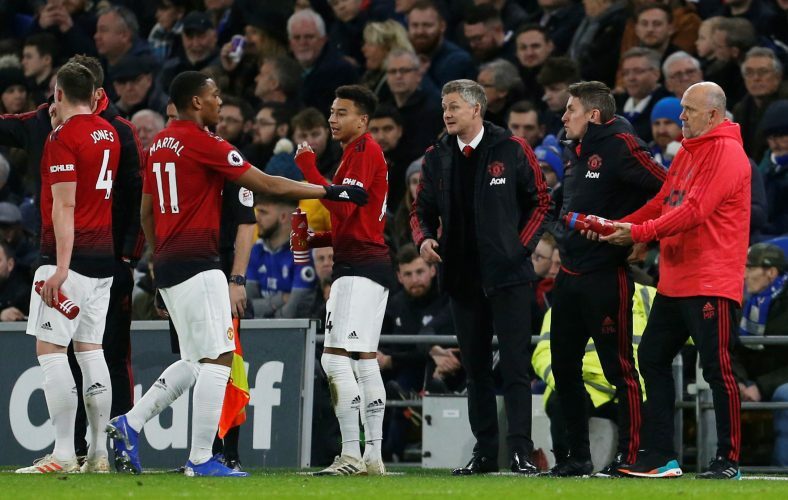 Solskjaer confirmed that United will be without Matteo Darmian and Antonio Valencia for a while due to minor knocks that the two defenders have picked up. Marcos Rojo is back in training following his rehabilitation period and may return to action shortly. Following the lack of impact from Alexis Sanchez against Leicester City, it seems apt that Anthony Martial will start against Fulham, with Marcus Rashford and Jesse Lingard retaining their usual spot in the attacking trident. Fresh from his new contract extension, Phil Jones may be granted a place as well. The Norwegian gaffer has promised a decisive win, and as of such, an attractive and attacking football seems likely to be on the lines. Claudio Ranieri’s side seems to be in irrevocable trouble going into this fixture. Their injury list is populated by Alfie Mawson, Nordtveit, and Marcus Bettinelli. Fortunately for them, Andre Schurrle and Andre Zambo Anguissa seem likely to play a role in the crucial game after recovering from their respective knocks. Further, United’s loanee Timothy Fosu-Mensah will be ineligible to be named against his parent club. The heroics of Schurrle will be crucial for the home side. However, with the Red Devils within touching distance of the fourth place, Fulham’s task will be made all the more difficult.